I’m pleased to report that our academic/research exchange agreement with the Humboldt University in Berlin is finally executed. It’s just a little less than a year since I was there and I very pleased at the potential for fruitful exchange between our two neuroscience faculties. Or should I say two capitols! The people’s house in Berlin was just as cloud covered 48 hrs ago when I took this picture as ours is today. It’s good to be back. But it was a productive trip. My first transatlantic crossing (757) in a narrow body jet since I was a kid taking DC-8’s and Boeing 707’s across. I guess they are really worried about the load factor. 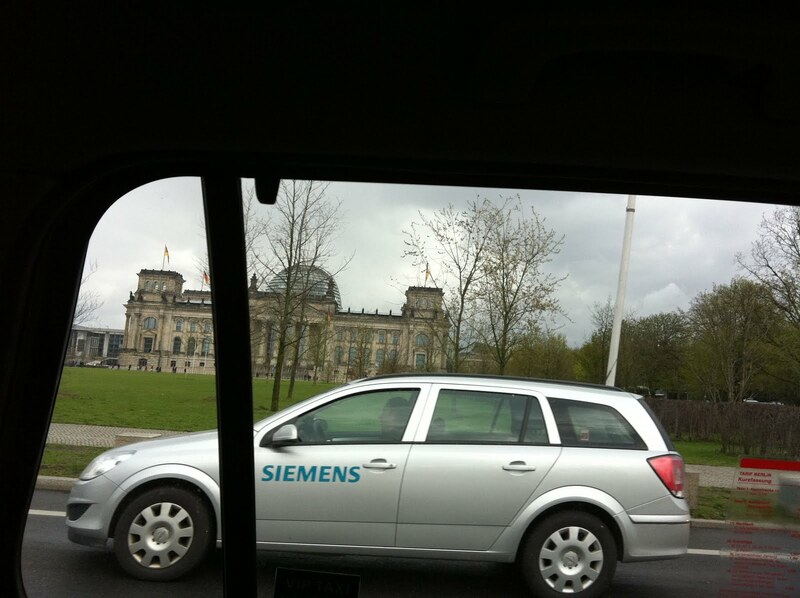 PS…no compensation from Siemens for accidental product placement.